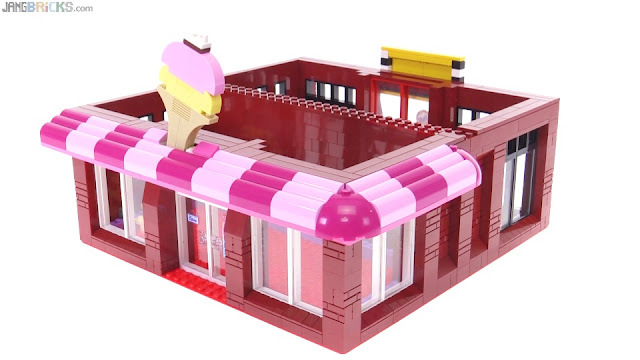 Custom LEGO ice cream parlor & bike shop begins! I've been collecting LEGO bikes and ice cream related stuff since 2013, and finally some of it will have a place to go thanks to a new building. Video: Custom LEGO ice cream parlor & bike shop begins! It may seem like a strange combination, but of course in the real world multiple types of businesses occupy spaces in the same structure all of the time, just look around :) Who knows, maybe some day one of these shops will go out of business and something else will move in! Hello, Jang! I think the progress of this MOC is awesome! I also think the color scheme is perfect for what you are going for. And I thought that the way you used the micro minecraft heads for ice-cream is very clever! Keep up the good work, Jang! Looking good. Excited to see the finished project! Random aside: I have a bunch of aquazone and aquashark complete sets with instructions in very good condition if you are interested in expanding your underwater scene in your city.